The Writer’s Lexicon should be on every writer’s desk! Read on to find out why. You’re a writer. You just read your manuscript and discovered your characters nodding like marionettes in every chapter. When they’re not nodding, they’re rolling their eyes. Time to slash the Pinocchio strings and turn them into real live people. Award-winning author Kathy Steinemann will provide the tools. She cuts through the so-called rules and offers simple solutions. Too many repetitions of “little”? There’s a cure for that. Do you rely on “very” too often? There’s a cure for that too. You’ll find the remedies in this book’s dispensary. Should you ever use anything other than “said” to attribute dialogue? Are exclamation points taboo? The answers might surprise you. Learn how to harness body language, cut hackneyed adjectives, and draw on the environment for ambience. No more wooden characters. You’ll transform them into believable personalities your readers will learn to love. Or hate. Get in the driver’s seat, relax, and enjoy your journey—with Kathy Steinemann’s book as your GPS. The author contacted me about reviewing her book and I’m so pleased she did. When I read the line ‘…characters nodding like marionettes in every chapter’, I knew this was a writing resource book I had to read. 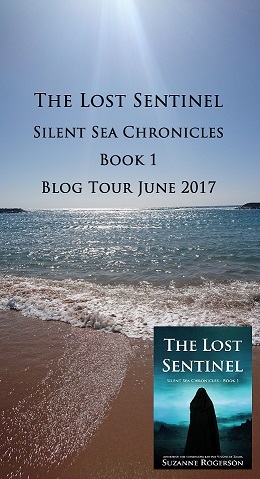 It couldn’t have come at a better time for me as I’m in the process of fine-tuning the second book in my series Silent Sea Chronicles. I know I’m guilty of creating nodding, grinning character who laugh and cry far too much. There are plenty of other examples of words that you may not even realise you are overusing (that being one! ), and a multitude of alternatives to try. Kathy Steinemann uses imaginative examples of how not to write sentences, along with examples of how to improve your work. There are A-Z lists of alternative words, and story prompts throughout. The book gets you thinking about why you have chosen particular words, and she helps you think of ways a few well placed words can bring your story to life. There are also chapters on punctuation, how to include the senses in your writing, and a list of 400 redundant words. I think it’s a brilliant book for every writer to have on their desk. Unfortunately, I’ve only read The Writer’s Lexicon on kindle (I highly recommend a paperback). I can imagine my paperback copy would have post-it notes stuck all over my favourite chapters. It has certainly got me thinking, and I will be using this as a guide to help me tighten the writing in my books. After 20 years experience in the writing industry, author Colleen M. Story extends a lifeline to pull Find the time, energy, and confidence you need to make your creative dreams come true! Today’s demands on writers and other creative artists are overwhelming. Not only must you produce the work you love, but build and maintain a platform and market your finished products to the world–all while holding down a day job and/or caring for a family. Overwhelmed Writer Rescue provides practical, personalized solutions to help beginning and experienced writers and other creative artists escape the tyranny of the to-do list to nurture the genius within. You’ll find ways to boost productivity, improve time management, and restore your sanity while gaining insight into your unique creative nature and what it needs to thrive. –Your unique “time personality” and how to use it to get more writing done. –The 7 “productivity saboteurs” that plague creative artists and how to outsmart them. –How to tap into your unconscious mind to find “writer solutions” when you need them. –Why affirmations don’t work and how to instill true belief in yourself. –Why it’s critical to your overall health and well being to nurture the creator within. There’s no reason to feel overwhelmed one moment longer. No matter how crazy your life is, you can find more time for your creative work, and start feeling more like yourself again. I’ve struggled with finding time to write since I began my self-publishing and social media journey in 2015. When I heard about this book I hoped it would help me claim back some time to do the thing I love most, write. Overwhelmed Writer Rescue has changed my mind-set towards time management and especially about prioritising. It’s clear you can’t change everything overnight, but this book gets you motivated to start making changes straight away. It is a book I know I will keep dipping into for advice in the weeks and months to come. The book is written in four parts and at the end of each chapter there are Time Treasures – brilliant suggestions that help you gain back time. It is well researched, with short questionnaires to help you tailor the advice to your own personality and circumstances. This ensures you gain the most from the book. This book has the unique blend of writing advice whilst focusing on your well-being, all thanks to Colleen’s expertise in the field of health writing. The chapter on Prioritising (chap 5) has been the biggest help to me in the short-term and is something I have been trying to work on every day with this in mind = KWIT Keep what’s important on top. My daily to do list now has two sections – 3 most important tasks for the day, and then other jobs I want to try to fit in. By not expecting myself to do everything in one day, I’m no longer spending my whole life with the negative feeling of disappointment. Already I’ve found I have achieved much more. Another really great chapter is Focus Faster (chap 7). Breaking projects down into 25 minute blocks, so you don’t lose concentration. I am guilty of spending hours at the computer without break, so this is something I really want to challenge myself to do. Overwhelmed Writer Rescue is a brilliant, motivational self-help book that anyone can benefit from. I really, really enjoyed reading this and recommend it to everyone, not just writers. FYI – I received a galley copy from the author. Check out the book for yourself Overwhelmed Writer Rescue. In case you missed it yesterday, here’s the link to Colleen Story’s guest post all about researching books and how research for non-fiction and fiction may not be as different as you think.